Flex A Seal’s waterproofing for terraces, decks and balconies (TDB) comprises of two distinct systems designed to satisfy the most diverse spectrum of construction methods. This system is generally applied to concrete floor structures or light weight structures on compressed cement sheet flooring. 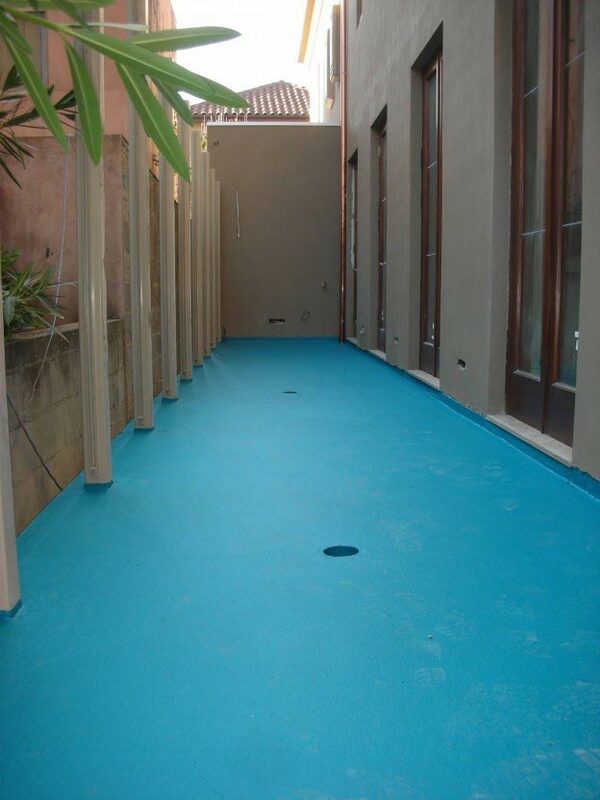 The installation of a graded cement screed is followed by the application of a reinforced, fully detailed, three-coat synthetic rubber waterproofing membrane. Tiles, pavers or tiling can be placed directly onto the membrane. No mineral salt migration from the supporting graded screed to the tiled finish. Maximum efficiency for tile installers as the substrates are accurately pre-graded and the waterproofing installation is professionally completed. Flex A Seal’s waterproofing membrane installations are installed according to professionally engineering standards backed up by our in-house quality check system. This system caters for lightweight and solid constructed terraces, balconies or decks that require maximum protection due to extreme atmospheric exposure, built-up systems (e.g. roof gardens) or a variety of unique design criterions. Flex A Seal’s composite TDB System 2 comprises of various reinforced and unreinforced, polymerised and pliable PVC sheet membranes. These are assembled using profiled flashings, angles, and preformed corners, and then joined by a welding process where each seam is progressively tested. The system is typically installed onto a pre-graded substrate. Upturning terminations can be integrated to suit any wall finishes. Flex A Seal teams install versions of this system that are loose-laid or adhered to the substrate. For exposed systems, we secure the membrane with concealed mechanical fixings during the installation to protect against the effects of possible “wind suction”. Flex A Seal’s TDB SYSTEM 2 can be extended and incorporated as a continuous tanking system for swimming pools, retaining walls, or planter boxes. 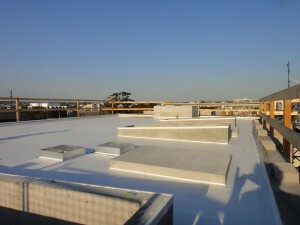 Our waterproofing membrane systems have been developed and proven to be effective in hundreds of installations that have been in service for more than 20 years. Our team is well equipped to advise and implement suitable waterproofing solutions for your project, be it for a new or remedial project. We also welcome designers that wish to engage our services to develop specific waterproofing solutions for architecturally demanding designs that may require “outside the square” thinking. Our highest propriety is that our solutions for waterproofing terraces, decks and balconies will be effective.